Established in the year 2013, at Ahmedabad (Gujarat, India), we Maruti Engineering Works now are feeling proud to establish ourselves as the prime We are the leading Manufacturer, Exporter, Wholesaler of Fuel Injection Gear Pump. 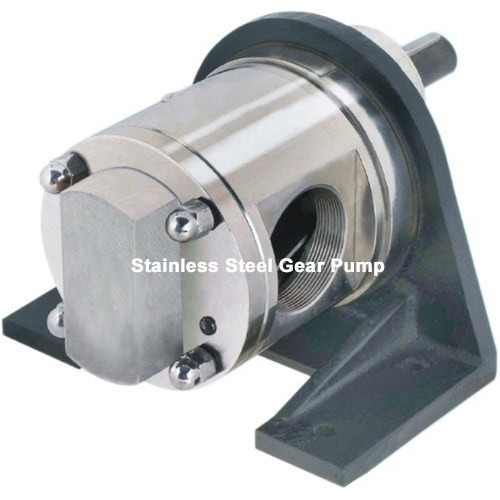 Some of our offered products are Fuel Injection Gear Pump, Rotary Gear Pump, SS Gear Pump. Designed and developed in strict adherence to the universal norms, the offered range is manufactured using latest techniques. We export our product in Gulf, Europe, Asia, America. Appreciated owing to their high strength, sturdy structure, robust design, corrosion resistance, optimum efficiency, dimensional accuracy and enhanced durability, the offered range has gained huge demand in different industries. Products offered by us are available in numerous sizes, models and other related options as per the needs of customers. Due to our huge infrastructural base, we have large production capacity to fulfill the bulk manufacturing consignments within the stipulated time schedule. Under the valuable guidance of our mentor, Mr. Mitesh Panchal, we have listed our company among the top rated manufacturers of best quality products. His deep knowledge and motivation inspire our workforce to dedicatedly work towards the goal.